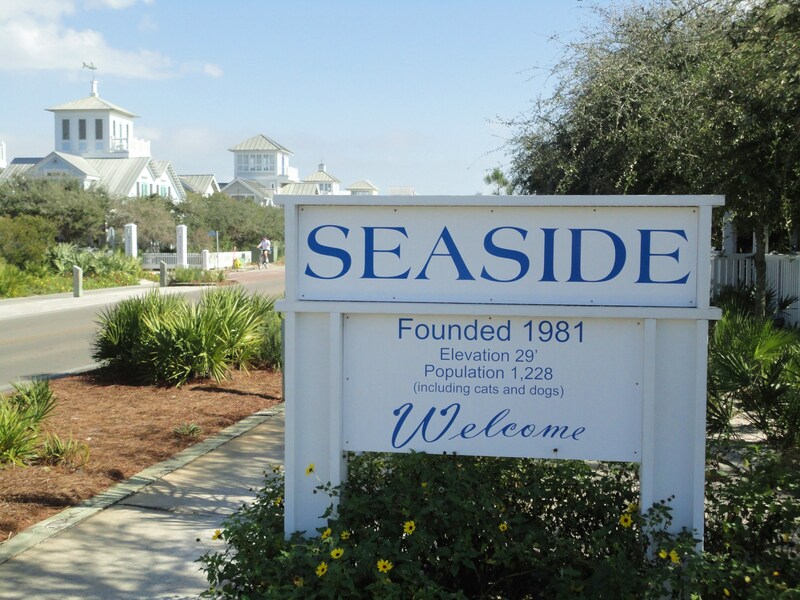 When Robert and Daryl Davis founded Seaside life was simple. Families came to relax in and enjoy the beauty of the surf and sand. Life was slower and strolling through the neighborhood as well as just enjoying an evening beverage on the porch were part of the vacation experience. Don’t get me wrong – sunbathing and swimming were probably the most sought after vacation activities, but the dream of a simple life was what vacations were all about. Robert’s grandfather purchased 80 acres near Seagrove Beach Florida in 1946. He had intended to build a summer camp for his employees but the economy had other plans. Robert envisioned a different plan for the land. In the late 1970s Robert and Daryl Davis toured the south taking note of all the architectural features of southern small towns and what made them unique. Robert went to work on developing his own small town with southern styled homes that lined the streets. Finally, in 1982 Robert and Daryl built two houses even before the master plan was approved. Daryl had the idea to get others interested in buying real estate. She had an idea to get potential investors to visit the area. She began with a Saturday ‘Farmer’s’ Market with fresh seafood, fresh breads and of course homegrown vegetables all displayed on picnic tables in the beachside town. The town was not near any local grocery stores so this market grew into all the local shops we all see today at Seaside. She later added clothing and home decor. This is known today simply as Seaside Style. Simple Elegant and Beautiful. Of all the goods and wonderful fresh food you will find at Seaside probably the biggest seller is the Seaside T-Shirt. You can go almost anywhere in the US and find someone wearing one. I personally own 2 sweatshirts and 1 t-shirt. The shirts can be purchased at the Seaside Style store in a variety of colors along with other Seaside memorabilia. The ‘New Town…Old Ways’ slogan on the back of the shirt reminds of us days gone by when life was simple.